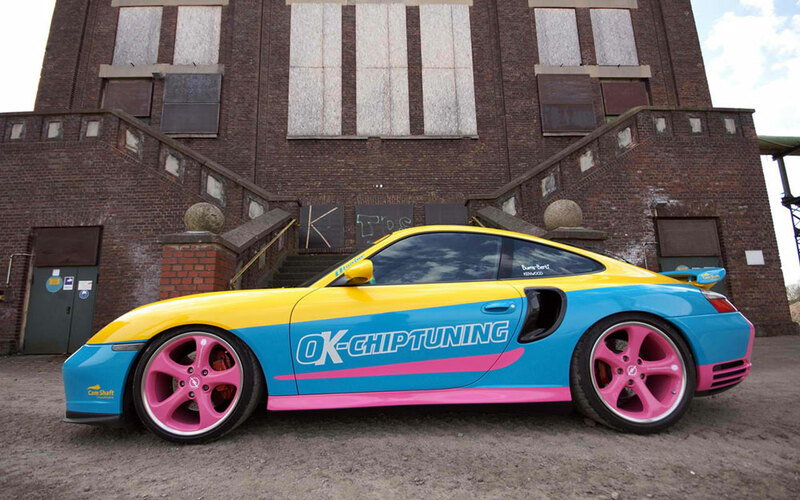 The German tuning company OK-Chiptuning announced their version of the 2002 Porsche 996 through a press release. Recognized as the 2002 OK-Chiptuning Manta-Porsche 996 Turbo, the fine-tuned car borrows elements from the Opel Manta and the Porsche 996. It combines these features into an upgraded turbo system for a boost in performance. The base model delivers 360 horsepower out of its six cylinder water cooled engine. OK-Chiptuning tweaked it and with the addition of the upgrade kit, it boosts the performance to 650 horsepower and 553 pound-feet of torque. A six speed manual transmission helps get all that power going. OK-Chiptuning did not add any visual enhancements to help the aerodynamics on the front axle to improve downforce. The performance-clutch added makes it is easier to handle the car in various driving conditions. Impressively, the engineers added a new KW coil over suspension which does improve the downforce. The visuals of the car were altered not by using body kits, but by using a blend of colors. 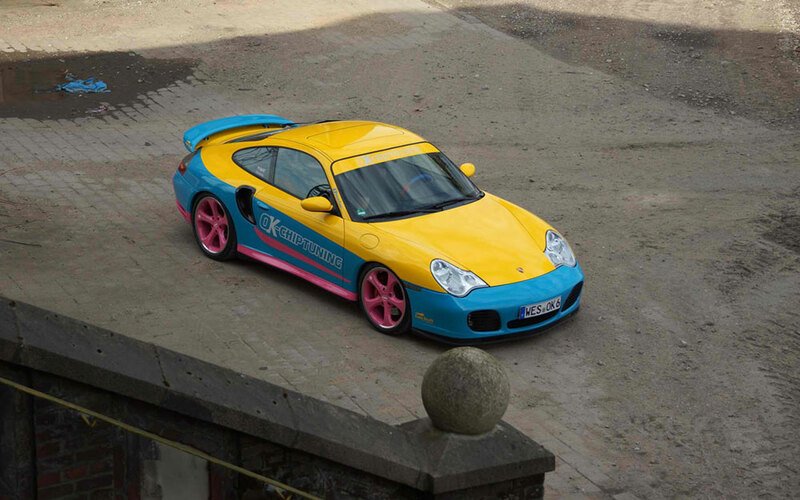 With a yellow roof and hood, blue middle line and pink on the side skirts rims and rear bumper, the Porsche looks like a race car. The only additions are the rear fender air intake and the rims that were derived from the Opel Manta and was painted in pink. The carâ€™s interior does not feature any changes. Its most notable addition is the replacement of the stock seats with racing ones. 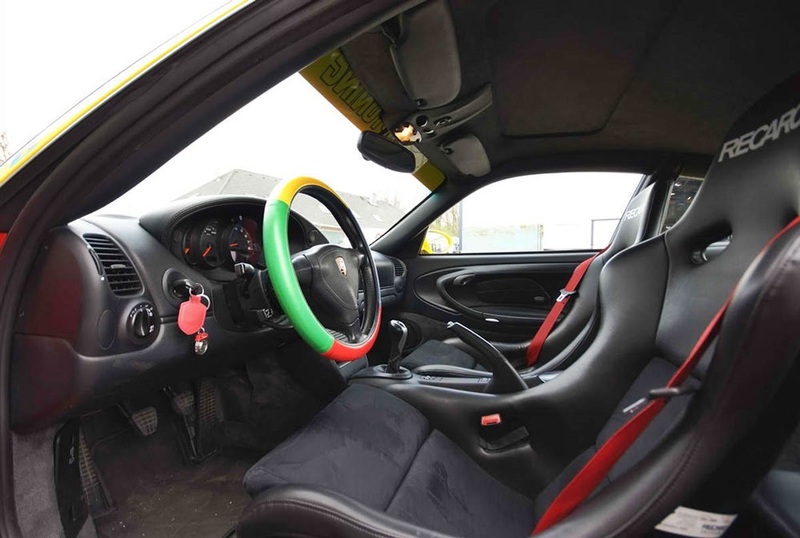 Additionally, the steering wheel is covered in leather and enhanced by four colors. 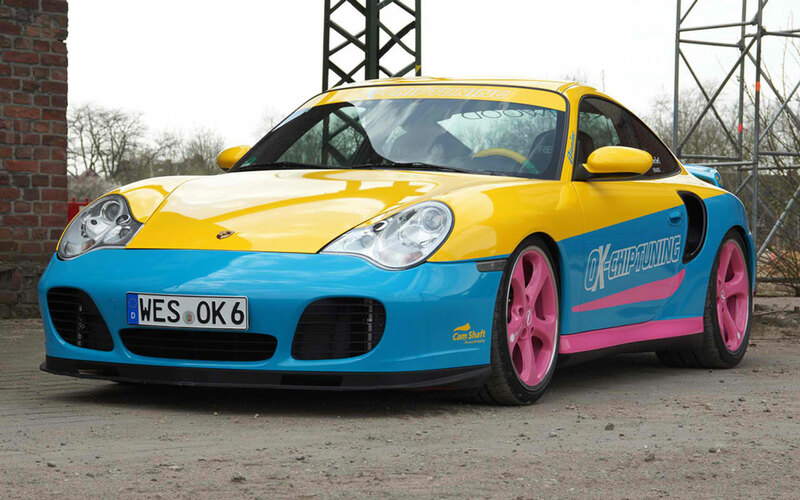 OK-Chiptuning managed to upgrade an 11 year old Porsche and make it faster and more agile. Without tempering too much with the carâ€™s appearance, the engineering team managed to double its power output. Combined with multiple upgrades, the OK-Chiptuning 996 manages to be stable on the road at higher speeds.